St. Patrick, who lived in the 5th century BC, has been credited with bringing Christianity to Ireland. He also happens to be the patron saint and national apostle of Ireland. Want to celebrate this traditional holiday differently? 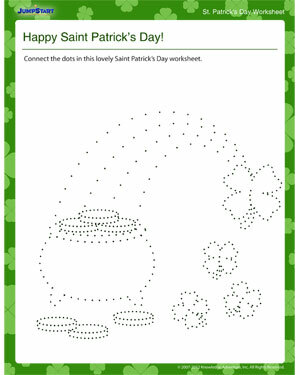 Print this free fun connect-the-dots worksheet for St. Patrick’s Day. And when you’re done, it’s time to browse though and print these great St. Patrick’s Day activities for kids of all ages.